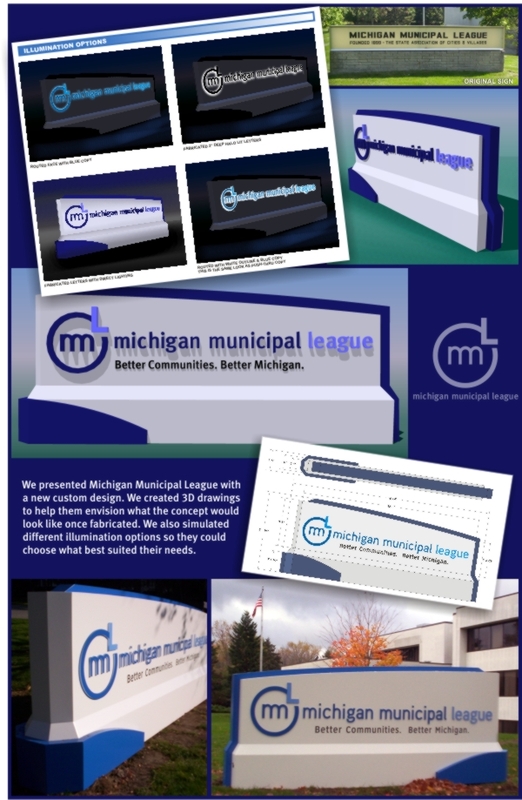 We can work from your design drawings or our graphic department can design your sign for you, developing a single sign or a complete signage program. Our sign graphics and production department cuts design time from days to minutes by using computer-aided graphics, having a complete capability for creating standard and custom letters and logo types. Computer type in many serif, sans serif, and decorative letter styles are available. Scale drawings of layout for customer approval or full-size drawings for shop work and installation can then be quickly produced on plotters. Custom graphics and special letter styles can be readily entered into the computer by our digitizing system.